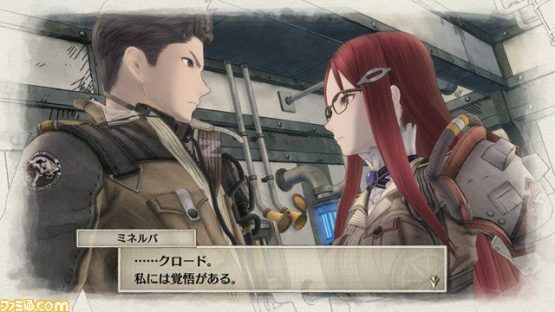 SEGA is releasing a new information batch for Valkyria Chronicles 4 at the latest Weekly Famitsu magazine that introduces new characters supporting the protagonist Claude Wallace’s Squad E. Perhaps the most important news here is that we finally get to know about the dog that has been featured in some of the earliest screenshots of the game. The dog is named Ragnarok and it is classified as a medic dog, so it will be working together with Karen Stuart (voiced in Japanese by Yuka Saito), a gentle medic soldier who was raised in a mostly male household so she can interact with men well. Valkyria Chronicles 4 will be released for PlayStation 4 in Japan first on March 21, with the Nintendo Switch version coming later in the summer. The international release, which includes an Xbox One version, currently only has a timeframe of 2018.